This year, on Halloween, I had a gruesomely good time shooting the annual Montreal Zombie Walk. I was dead impressed with the amount of creativity I witnessed that day. Honestly, I was not expecting such elaborate costumes and makeup. Many of the zombies did their own makeup, but I know that some of Montreal's most talented makeup artists, some of whom I've had the pleasure of working with before, including Kim Creton, were very much involved in making this event a success. Many thanks to all of the zombies who allowed me to photograph them. Your infectious enthusiasm truly put me in the Halloween spirit. I'm already looking forward to next year's Zombie Walk! These are some of my favourite shots. You can view the full album on Facebook. I was delighted and flattered when the lovely and talented Katherine Watson, whom I had worked with in Switzerland in 2010, contacted me for a photo shoot. Katherine is an accomplished flutist and piccoloist from Dunsford, Ontario. She is a graduate of the Glenn Gould School of The Royal Conservatory, where she received her Artist’s Diploma in 2012, and also earned her Bachelor of Music in Performance from the University of Toronto. Now based in Montreal, she is currently pursuing her Master of Music in Orchestral Performance at McGill University. I recently had the pleasure of spending a sunny afternoon at Jean-Drapeau Park with her and my wonderful assistant Vikki Snyder. For a limited time, Deena Roth Photography is offering a special discount to celebrate the arrival of autumn! Between October 10th and October 25th, take advantage of this promotion and get a personalised Portrait Session for only $200! Why not make the most of this special time of year? Book now to reserve your spot. •	A pre-session phone or email consultation. •	Each session is custom designed to suit your personality. Therefore, prior to your session, you will be presented with a mood board which conveys the essence of the session concept. •	1-2 hour on-location photo session. •	Private, password-protected online viewing gallery. •	Digital download of 5 high resolution edited images with print release. *Additional images may be ordered for $25/each. ** Professional makeup artist and/or hair stylist available for an additional cost. These are my shots from the Concept Collaboration meetup that I hosted with the one and only Clément Guégan. The theme was 'In Reflection' and I was largely inspired by the Greek myth of Echo & Narcissus. The lovely Dea Kaizoku, our model for the afternoon, is depicted as a hybrid of both Narcissus (who fell in love with his own reflection) and the wood nymph Echo, whose love he rejected. For me, personally, this self-love represents a need to be more forgiving of myself and to trust my creative process. The crown of branches (which I crafted myself and weighs a ton, BTW) represents my debilitating self-doubt, the burden I put on myself as an artist. She is bound in fabric (cheesecloth, to be precise) which symbolises feelings of constraint, as I often feel bound by my limitations. I added the windblown fabric to express the need to accept my limitations and free myself from those constraints. Thank you to everyone who came out to the 'In Reflection' Concept Collaboration meetup I hosted earlier this month here in Montreal with the amazing Clément Guégan! Special thanks to Dea Kaizoku, who was gracious enough to be our model for the day. Important announcement: We are sad to announce that due to the weather, the meetup has been postponed to Saturday, July 4th. I am excited to announce that I will be hosting, along with the super talented Clément Guégan , Montreal’s first ever Concept Collaboration photography meetup! If you live in the Montreal area and are interested in joining us, please sign up via our Facebook Event Page. The meetup will take place on Sunday, June 28th at Parc Jean-Drapeau from 3pm to 7pm. This is an open event and we invite photographers, models, MUAs, hair stylists and costume designers to join us. This month’s theme is ‘In Reflection’ and you can read more about it here. We’re looking forward to collaborating with you! 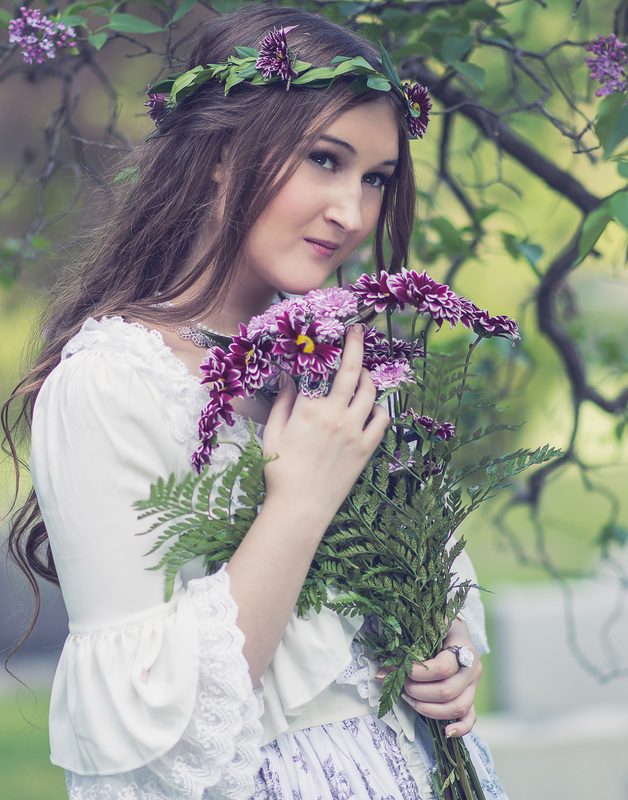 For a limited time, get a discount of $100 on either a Portrait Session or Fairy Tale Session! 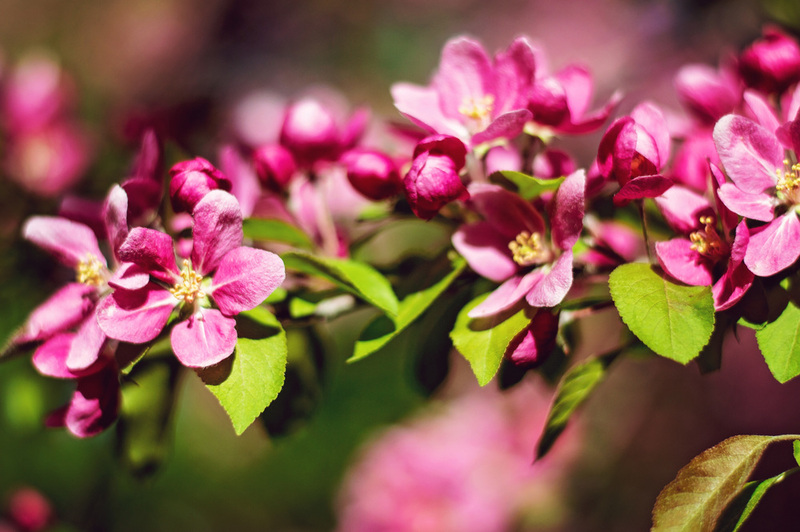 Spring has finally arrived in Montreal and soon the city's parks will be awash in spring blossoms. 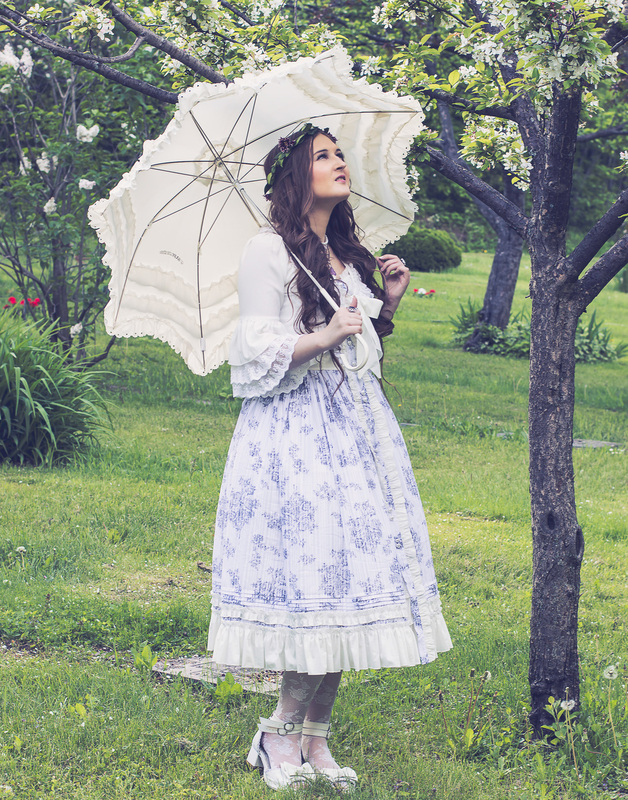 Between May 18th and June 1st, take advantage of my spring promotion and a get a personalised Portrait Session for only $150 or a magical Fairy Tale Session for only $250! Why not make the most of this special time of year? Book now to reserve your spot. •	2-3 hour on-location photo session. Additional images may be ordered for $25/each. Professional makeup artist and hair stylist available at an additional cost. 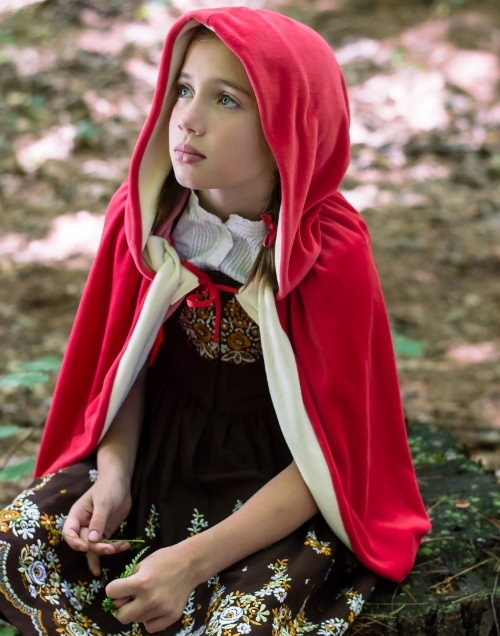 •	Each session is custom designed and based on a chosen fairy tale theme. Therefore, prior to your session, you will be presented with a mood board which conveys the essence of the session concept. •	Costumes, props, accessories, etc. provided. •	Digital download of 5 edited images with print release. I am often asked how it is that professional photographers sometimes spend several hours editing a single shot. When you consider the amount of work that goes into pre-production – casting, scouting locations, selecting props, costume design, hair and makeup, making sure you have the right photo equipment, etc. – it’s only natural that an equal amount of effort goes into editing the final image. 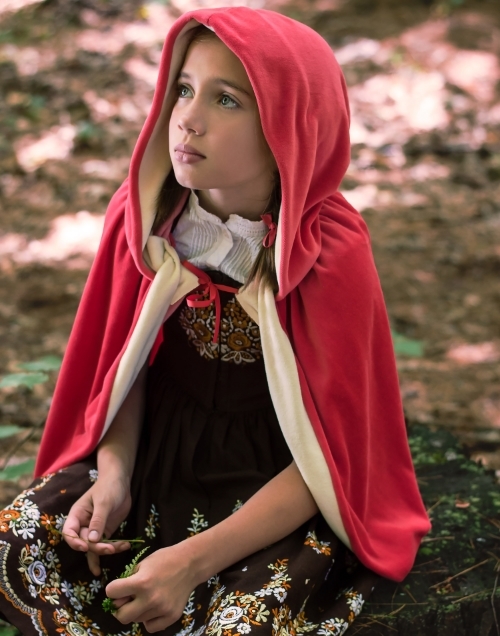 To shed some light on the topic of post-production and to explain just what it involves, I am going to walk you through the step-by-step editing process on one of my favourite shots: the lovely Penelope Phillips as Little Red Riding Hood. 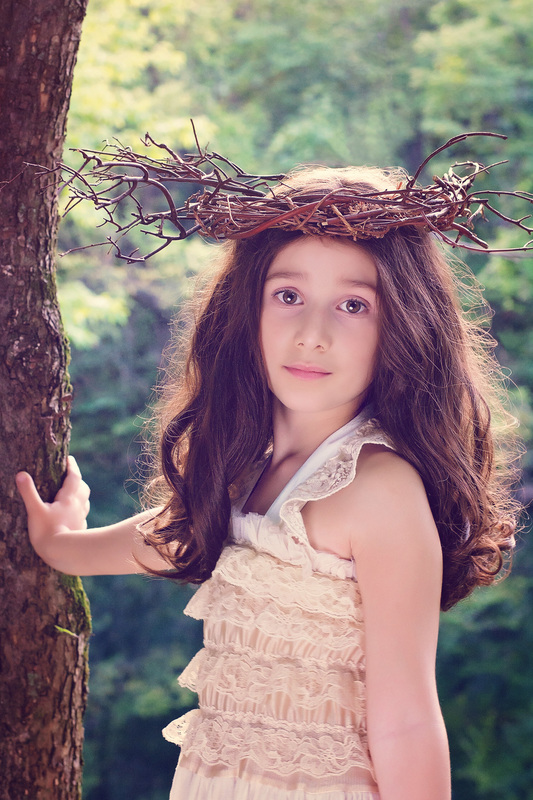 This portrait was shot using natural light and a collapsible, circular, silver reflector disc. I used the AF-S Nikkor 50mm 1:1.8 G lens, which is ideal for portraits, and my settings were: ISO 200, 1/100, f2.8. 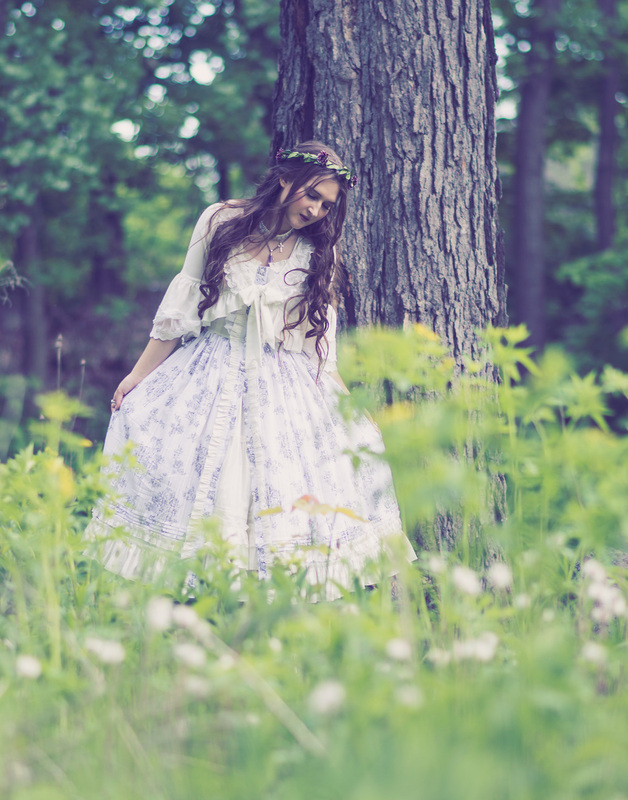 It was shot in a beautiful forest in Avon, Connecticut, on a summer afternoon. As always, I shot in RAW format, which is the digital photography equivalent of a negative in film photography. Essentially, a RAW file is an uncompressed, unprocessed image file that records the data directly from your camera’s sensor. Rather than letting the camera process the image for you – by turning it into a JPEG image – shooting in RAW gives you more control, allowing you to process the image to your liking. Adobe Lightroom is not only the processing software I use for RAW files, it is also the library where I store, retrieve and search for all my images. The Develop Module in Lightroom allows you to adjust the colour and tone of your RAW files as well as crop them, and make other corrections to the unprocessed file. Pictured above is a screenshot of the RAW image before and after processing in Lightroom. For this particular shot, I increased the exposure slightly, fine-tuned the highlights and shadows, adjusted the clarity and vibrance and added a medium contrast curve. Once I was satisfied with the results, I opened the file in Adobe Photoshop. Colour correction takes processing a step further by adding a particular mood to your image through the use of adjustment layers and/or by adding textures. There are many different ways of colour correcting an image, from very subtle effects to more dramatic ones. These are the steps that I took to create the mood for Little Red Riding Hood. So, there you have it. I hope that this explains, to a certain degree, how it is that professional photographers often spend several hours – and in some cases several days – editing a single image. There are a lot of photographers, both past and present, who inspire me. However, something about this young man from my hometown of Montreal really struck a chord. Not only is he ridiculously talented, but he exudes an aura of positivity that can only be described as magical. His infectious attitude and limitless imagination make you feel like anything is possible. To see more of his mind-blowing images and learn more about his philosophy, check out his website, Von Wong. Last night, a dream came true. I had the privilege of participating in a Von Wong workshop and it was an experience I’ll never forget. He is rarely in Montreal, so when I found out about a month ago that he would be doing a free workshop as part of a Radio-Canada documentary, I jumped on the opportunity. The workshop took place at photographer Thierry Quenette’s studio and after a brief introduction and Q&A session, Ben walked us through his creative process in a very organic way as he and his assistant Jessika Chiasson adjusted the lighting on models Oli Scar and Clara Cloutier. While shooting, Ben gave us invaluable advice about the importance of good communication, focusing on and directing your models and involving everyone on your team in the creative process. Afterwards, he invited participants to take some shots of their own. With 25 participants in attendance, I was lucky to get a couple of shots! It was wonderful seeing Ben’s creative process firsthand and working with a supremely talented team of individuals, including gifted makeup artist Tamsen Rae, angelic artistic model Clara Cloutier and extraordinary fire performers Oli Scar and Richard Erno of Pyrometheus. Once the studio portion of the workshop was wrapped up, we all went out into the chilly night air to try our hand at shooting pyrotechnics, guided by Ben, of course. 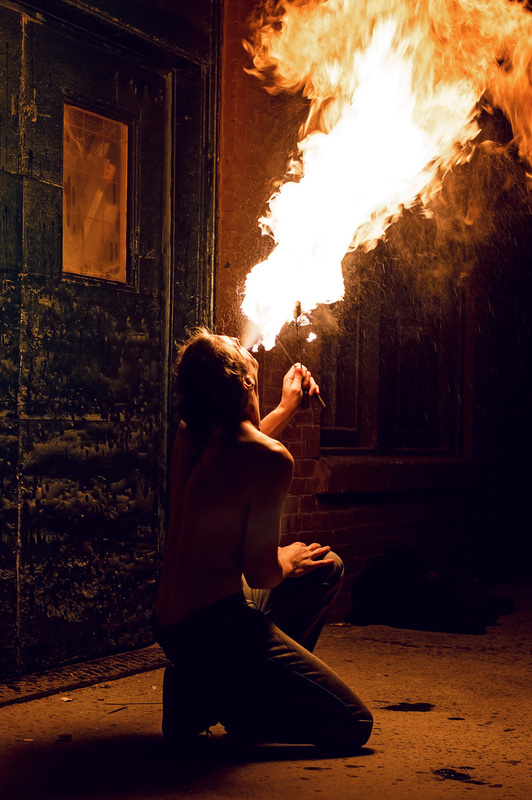 This was my first experience shooting fire, so there was a lot of trial and error, but I still managed to get some shots that I am pleased with. It’s such a great feeling when you meet somebody that you admire and they end up exceeding your expectations. Not only was this an incredible learning experience, but I can assure you that Ben is just as gracious, down-to-earth and kindhearted as he appears to be. In fact, when he found out that I and one of the other participants live in the same neighbourhood as him, he gave us both a ride home, even though he had to get up at 6am for Toronto the next morning. Incidentally, I still can’t get over the fact that this legend practically lives (when he’s in Montreal, that is) in my backyard! I am so grateful for this experience and sincerely hope that I will have the opportunity to attend another workshop or assist Benjamin Von Wong in the future.